Disney Princesses. . HD Wallpaper and background images in the Princesses Disney club tagged: disney princesses group. 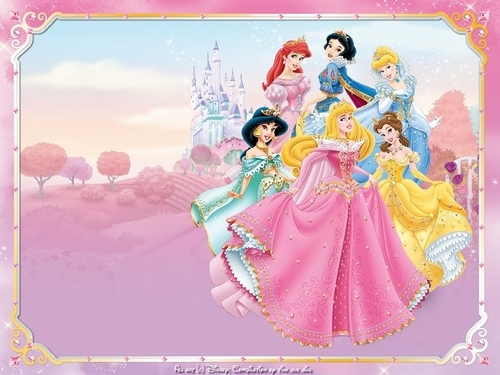 This Princesses Disney wallpaper might contain signe, affiche, texte, tableau noir, tableau, and affiches. Ariel's rose Dress - Seriously, Disney?